FRIDAY!! Oh my gosh, this month is totally getting away from me… I have a couple of other post drafts started that I was trying to finish up for y’all this week and I just couldn’t squeeze it in! But THIS post, friends, was a “must publish” for today! 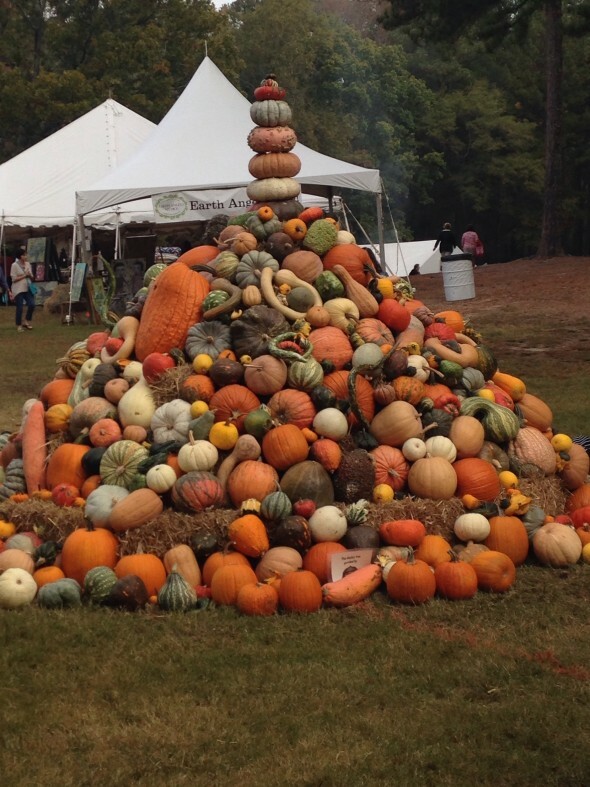 You all know how much I love the Country Living Fair that comes our way each fall (you can see my posts from previous years HERE, HERE, and HERE) and this year is no exception! I’m super excited to be partnering with Stella Shows (the production company) to offer one of my lucky readers TWO weekend passes to this year’s Country Living Fair! If you’ve never been, you’re in for such a treat — TONS of vendors with everything from homemade food stuffs to antique and vintage items. Plus cooking demonstrations, decorating presentations, and some good old fashioned fall FUN. The Fair will take place in the Event Meadow at Stone Mountain Park for the seventh year in row, and is expected to draw more than 20,000 visitors from across the country. 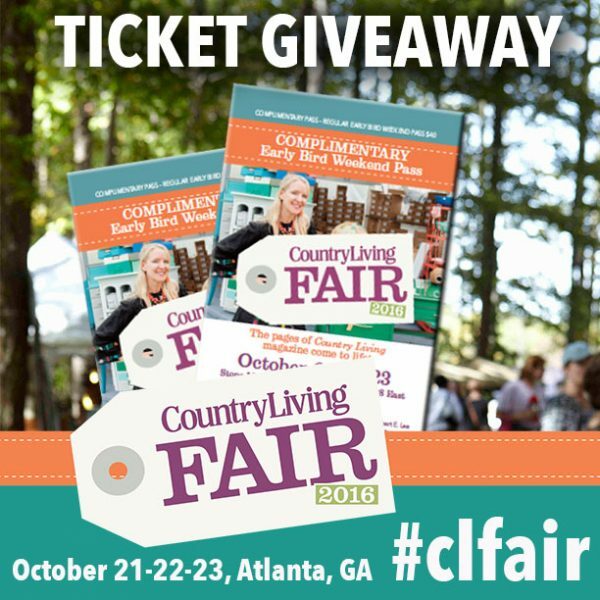 The Country Living Fair brings the magazine’s content to life and gives readers access to a unique shopping experience along the wooded paths of beautiful Stone Mountain Park, featuring more than 200 vendors from 25 states, including antiques sellers, food purveyors, artists, furniture makers, crafters, and more. Guests will also have a chance to meet Country Living editors and their special guests; attend book signings and cooking, crafting, and DIY demonstrations; sample locally sourced, artisanal food; and shop the Country Living General Store. Special guests the Junk Gypsies, known for their vintage style, will launch their new book, Junk Gypsy: Designing a Lifeat the Crossroads of Wonder & Wander at the Fair. The sister duo from Texas, appearing Saturday, will talk about their big dreams, roadside treasures, and their down home design aesthetic. Additionally, attendees will have the opportunity to audition for Flea Market Flip. Stop by Great American Country’s lounge on the Main Green Friday, Saturday and Sunday for more details. Does that not sound like heaven? I mean, if that doesn’t get you in the fall spirit, I don’t know what will!! This year, I will be out there for sure on Friday and possibly again on Saturday, so if you want to meet up, just let me know! Ok, so how to enter this giveaway?? Simply leave a comment on this post telling me something you love about fall, Country Living magazine, or the Fair itself! Comments will close Monday at midnight and the winner selected and notified on Tuesday! Winner will be chosen using random.org. I will make arrangements to get your tickets to you by Thursday, so you can jump right over to the Fair on Friday if you like! Can’t wait to read your comments and choose the lucky winner to enjoy the fun… have a great day, friends! I love the changing leaves, being outside and with my family.